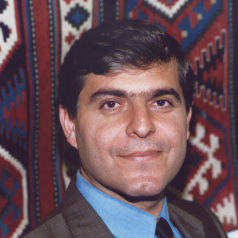 Fawaz A. Gerges holds the Emirates Chair in Contemporary Middle Eastern Studies at the London School of Economics and Political Science. He is author of several books, including "The New Middle East: Social Protest and Revolution in the Arab World" (Cambridge University Press). Professor Gerges' special interests include Islam and the political process; social movements, including mainstream Islamist movements and jihadist groups, such as the Muslim Brotherhood and al-Qaeda factions; Arab politics and Muslim politics in the 20th century; the international relations of the Middle East; the Arab-Israeli conflict, state and society in the Middle East, including Egypt, Syria, Iraq, Lebanon, Yemen, Saudi Arabia, Libya, and others; American foreign policy towards the Muslim world; the modern history of the Middle East, history of conflict; diplomacy and foreign policy; and historical sociology.